Vivia May (nee Sparkes) Carter, 80, died Tuesday, January 30, 2018 at 11:38 AM at her home in Phoenix, Arizona. Formerly, lived many years in Honolulu, Hawaii. Vivia will be remembered for her cheer and vitality, optimism, enthusiasm and caring spirit. Born October 19, 1937 in Clarendon, Jamaica, West Indies to Robert and Miriam Stewart Sparkes. Moved to England where she graduated from nursing school at Stratford-Upon-Avon. Worked at Kaiser Permanente in California. Moved to Honolulu, married Arthur K. Carter, Sr. and divorced several years later. 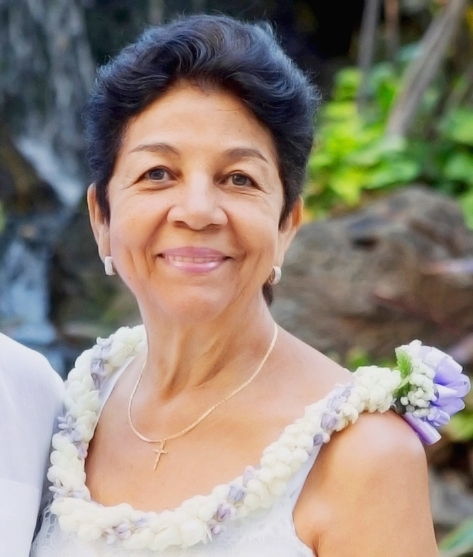 When living in Honolulu, she was employed by Straub Medical Center and Kaiser Permanente. Most of her professional nursing career was spent in the surgical areas of the hospitals. After retiring, she enjoyed gardening, and being with her friends and family. Survived by son, Aaron Trevor Kaleo Carter (Michael Mosier) of Phoenix, Arizona; one sister, Gloria Sparkes of Old Harbour, Jamaica; Step-daughters, Ardi Vesnefski and Chris (Keith) Aiwohi; five step-grandchildren, seven step-great grandchildren and 17 nieces and nephews. Predeceased by two sisters and two brothers. Deepest appreciation for the care and compassion given to Vivia by her niece, Judy Johnson; her Hospice nurse, Emily of Infinity Hospice; her caregivers, Alondra and Laketha of Always Best Care; friend, Cobi; and son-in-law Michael Mosier. Because of their care and commitment, Vivia was able to stay in her Phoenix home as this was her wish. Blessings and Services will be held 11:30am on Saturday, March 3, 2018 at the Ocean View Gazebo, Hawaiian Memorial Park Cemetery, 45-425 Kamehameha Hwy, Kaneohe, Hawaii 96744. Condolences (please, no flowers) can be sent to Aaron Carter, 5225 N Central Avenue #104, Phoenix, AZ 85012. Aloha.